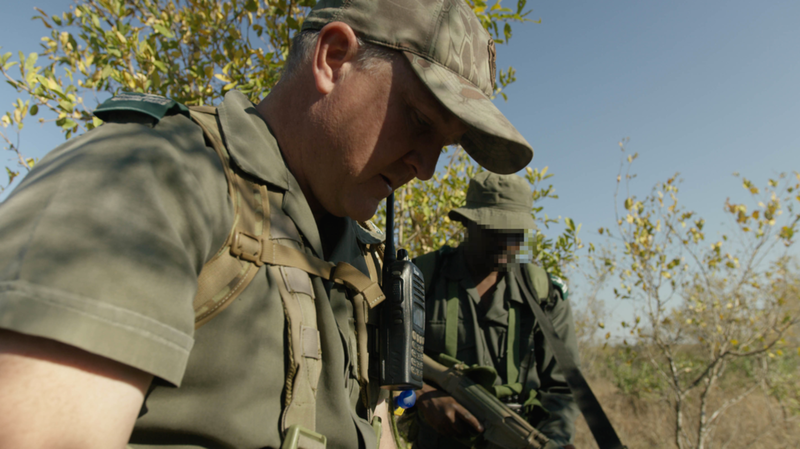 This episode is a little different from our first rhino episode – indeed we got an inside look at some of the true issues and very harsh realities that are playing out on the front line …we saw the war that’s at play between the protectors of wildlife and the Rhino poachers, this is a very complex issue and it is being fought on a number of levels. Ivan Carter begins his journey in Zululand rhino reserve where he becomes wrapped up in the intense happenings on the front line as wildlife manager Karen Holmes and wildlife veterinarian Mike Toft are in the midst of a search for an orphaned black rhino calf , we get to meet Stoney who through patience and great skill actually tracks the little creature down and Mike is called in to dart the little animal – it’s a tearjerker as we see the stress of this little animal last few hours as an orphan until she settles and takes her first drink of milk from a human hand. Ivan Carter then engages in a quest to determine just how different in habitat preference and behavior black rhinos are versus white – in the midst of all this he is called back to Kruger where another grisly incident has taken place – what ensues is a realtime investigation and the chase is on for the group of poachers thought to be responsible , we see the deployment of dogs and well trained rangers onto the front line. Yes very much so! In fact we were in the midst of filming an unrelated incident when we were called to Zululand and likewise our journey to Kruger was not in any way staged .People like wildlife veterinarian Mike Toft and wildlife manager Karen Holmes are very real characters and we get a very up close glimpse into the passion these people have for their animals – in Kruger we see some familiar faces as Richard Sowry is seen doing what he does for most of his working days. Wildlife manager for Zululand rhino reserve, Karen is a qualified wildlife biologist whose chief interest lies in restoring the integrity of Africa’s ecosystems, and building a viable blueprint to be used across the continent on similar properties to achieve the same goals – ecological balance and financial stability through judicious conservation practices. 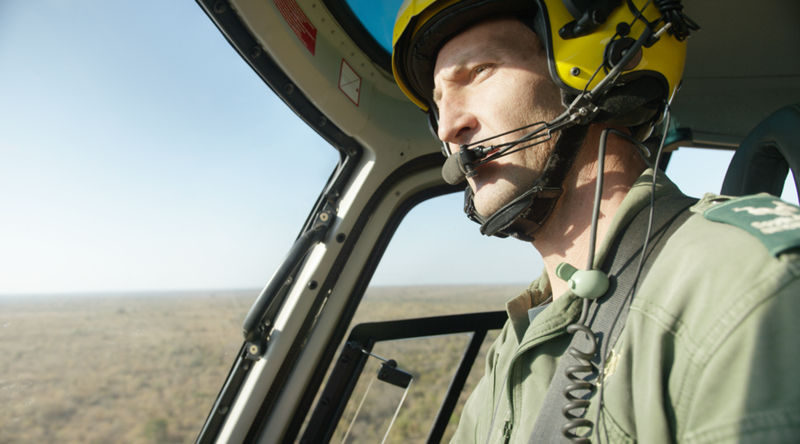 Having worked in the Kruger National Park in several capacities, Richard is a highly trained and effective section ranger – whose primary commitment is to the management of his “section” Much of his day is filled with anti poaching and counter poaching assignments. Through his hands-on experience, Richard has witnessed more destruction of wildlife than anybody should ever see in a lifetime. These are truly the unsung heroes of wildlife, with their faces blurred throughout the episode for their own protection. Believe me when I say that these men are the tip of the anti poaching spear, and to see their fearless dedication is a truly humbling experience. As long as there are people like this on the front line – there is hope. Kruger National Park is one of the largest game reserves in Africa. It covers an area of 19,485 square kilometres (7,523 sq mi) in the provinces of Limpopo and Mpumalanga in northeastern South Africa, and extends 360 kilometres (220 mi) from north to south, and 65 kilometres (40 mi) from east to west. The administrative headquarters are in Skukuza. Areas of the park were first protected by the government of the South African Republic in 1898, and it became South Africa's first national park in 1926. To the west and south of the Kruger National Park are the two South African provinces of Limpopo and Mpumalanga. In the north is Zimbabwe, and to the east is Mozambique. It is now part of the Great Limpopo Transfrontier Park, a peace park that links Kruger National Park with the Gonarezhou National Park in Zimbabwe, and with the Limpopo National Park in Mozambique. The park has nine main gates allowing entrance to the various camps. All the Big Five game animals are found in Kruger National Park, which has more species of large mammals than any other African game reserve (at 147 species). The great news is she is safe , she is well cared for and I have managed to raise enough funding to independently pay for most of her care month to month , she is doing well and fully expected to stay healthy - - she will be brought home to Zululand rhino reserve in 18 months (depending on adequate funding)- if you would like to learn more of help this particular cause please click the link below. Rhino body parts have been thought to cure skin disease, bone disorders and fever. In Vietnam, rhino is sought as a cancer remedy. However, science has proven that rhino horn has the same medicinal effect as chewing human fingernails and there is absolutely no evidence suggesting that rhino horn has any medicinal properties at all. Rhinos use their horns for protecting their calves, defending their territories and foraging, which includes digging for water and breaking branches. In 1990 less than 20 white rhinos remained in South Africa, they were then the most endangered of the world’s five rhinoceros species. Today there are more than 20,000 white rhinos, making them the most common rhino species on the planet. This is the largest and fastest growth of rhino population ever in history – the reason for this is the ability to have ownership of rhinos and thus there is a healthy trade in the species between private owners. South Africa currently protects 75% of the world’s black rhino population and 96% of the white rhino population. One of the key points to make here is that a large number of the rhinos in South Africa are privately owned and they reside on private land. With the ability to buy and sell them as assets make them a worthy investment. If however, the laws change and this value is removed, the rhino numbers will decline sharply because in one moment they will go from being as asset to simply being a worthless (in financial terms) liability. Rhino poaching levels in South Africa have increased by 9000% since 2007 – from 13 to a record of 1,215 in 2014. Somewhere in Africa a rhino is poached every 12 hours. An effort was made in South Africa to stop the poaching of rhinos by infusing their horns with toxins and bright pink dye in order to render them useless to poachers and consumers alike. However, due to the sheer density of their horns this experiment unfortunately proved unsuccessful. There was also some very vocal humanitarian critics that ensured a stop was put to the poisoning. A white rhino can weigh up to 5,100lbs – that’s equivalent to the size of an SUV. Its horn usually weighs about 7lbs. Therefore, when a rhino is poached, only 0.1% of its body mass is of economic value on the black market. The sad fact is that the feet, with three distinct hooves, are made up of exactly the same material as the horn, Keratin, which is seen as being valueless while the horn has immense value. This is the very reason why we need to educate the East about the fragility of the species and the truth behind the mythical powers its horn is said to have. Although single horns can sell for up to US$30,000, poachers caught in South Africa are charged a penalty of approximately US$4,400, and often given no jail time. In many countries around the world a commodity such as horn, drugs etc. often raises in price so fast and so violently that the laws seldom have time to catch up, hence the penalties become cheap. Several countries in Africa have a shoot to kill policy on rhino and elephant poachers. Poaching gangs have taken to incredibly sophisticated methods to capture rhinos. 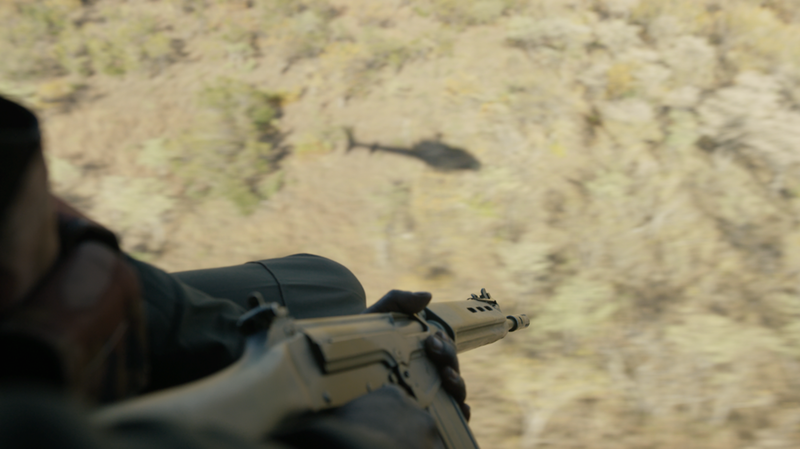 Some of these techniques involve using helicopters and night vision equipment to track the rhinos, and veterinary drugs to tranquilize them. Even after rhinos have been dehorned, the horns tend to grow back over time. Experts recommend that rhinos should be dehorned every 12-24 months in order to be an effective deterrent. However, even then, poachers may also kill dehorned rhinos out of vengeance. It is thought that rhino horn on a mature bull with grow back at a little more than 2 pounds a year, at end user value that’s significant ,and poachers will still shoot a rhino that has regrowth. In other parts of Africa the dehorning has worked, but not in an open free range environment where the simple costs of the exercise, as well as the stress and effects of the drugs on the animal, have been a topic of significant debate, particularly with the oestrus cycles of regularly darted females. So great is the temptation of the financial return on the horn that some poachers have resorted, on smaller private land estates where a gunshot would be immediately detected, to using silent darting guns and veterinary drugs to immobilize rhinos, allowing them to hack off the horns very roughly using an axe, panga or chainsaw. This process often results in the removal of half of the rhino’s face, leaving them to die a slow and painful death. Rhinos are considered to be an “umbrella species”, which means that conserving them will lead to the conservation of other plants and animals too. 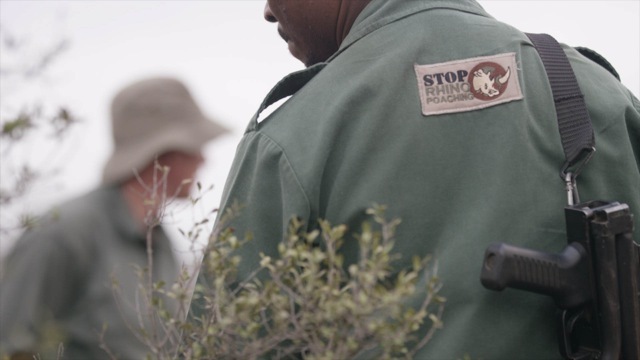 In Kruger National Park, where much of this episode is filmed, around 400 people are employed to protect and police the wildlife. This leads not only to great protection of the rhinos, but in turn an exceptionally safe environment for elephants and other target species.